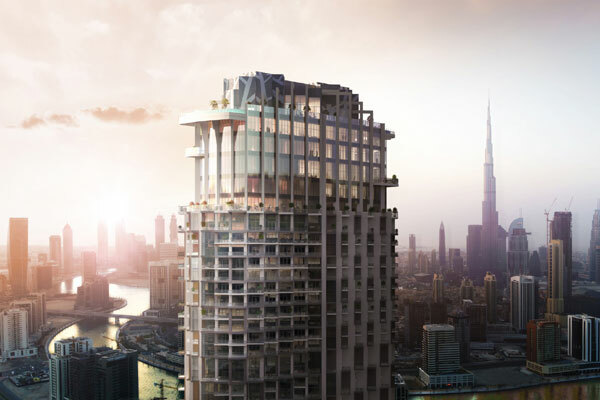 Leading international hospitality group sbe has partnered with World of Wonders Real Estate Development to develop the Middle East's first SLS property in Dubai. Estimated to cost $550 million, SLS Dubai Hotel & Residences is already more than 60 per cent complete and is set to open in Q3 2020. The 75-storey tower will comprise 254 hotel rooms, 371 residential units, 321 hotel apartments and will be one of the tallest hotels and residences in the region. The property will also feature sbe signature culinary concepts Fi’lia and Carna, sbe's mixology lounge in the lobby, as well as signature rooftop nightlife venue, Privilege. Located in the Downtown district, the property offers spectacular, unobstructed views of the world’s tallest building Burj Khalifa, as well as Dubai Creek. Two magnificent infinity pools are situated atop the 75-storey tower offering an incomparable 360-degree aspect of Dubai, making the pools among the highest not just in the city, but globally. The SLS brand is an integral part of sbe's global expansion, with plans for 25 additional locations nationally and internationally in cities including Washington D.C., Buenos Aires and Cancun. SLS Dubai will be an essential piece of sbe’s development in the Middle East that comes on the heels of successful openings of Katsuya in Kuwait City, Dubai and most recently Abu Dhabi. The success of SLS Dubai also speaks to the monumental growth of sbe's residential platform with 1,300 branded residential units sold to date, valued at $2 billion with another $2 billion in the pipeline. In October 2018, sbe entered into a partnership with Accor, following the latter’s acquisition of a 50 per cent stake in sbe. This long-term investment will allow sbe to leverage Accor's leading global hospitality platform while remaining an independent luxury lifestyle operator. Sbe will continue to be led by its founder and CEO Sam Nazarian as well as its expert management team while retaining its global headquarters in New York. Upon arrival, hotel guests will enter through the ground floor lobby and take an express elevator to the opulent Sky Lobby on the 71st floor, redefining luxury for the 21st century. Floor to ceiling windows dazzle with incredible panoramic views of the city, creating the perfect ambience for the property’s lobby lounge and bar. In addition, the property’s nightlife venue, Privilege, will be located on the rooftop featuring expansive interior lounge space that opens up directly onto the roof terraces. Guests can also visit the property’s sbe signature Ciel Spa located on the 69th floor, which is the epitome of luxury, boasting seven treatment rooms, dedicated male and female thermal areas that contain steam rooms, experience showers, plunge pools and relaxation rooms, a hair and nail salon, a fully equipped gym and two outdoor terraces. SLS Dubai will also feature sbe’s acclaimed Italian restaurant concept Fi’lia, located on the 70th floor. Fi’lia will serve as the hotel’s all-day dining outlet and will offer active food stations and a display kitchen adding an element of entertainment to the dining experience. In addition, Carna, a sbe steakhouse concept by award-winning Italian butcher Dario Cecchini, will be located on the 74th floor and feature a dedicated bar, private dining rooms, wine rooms and an open kitchen.